EXCLUSIVE OF TICKET SERVICE FEE. 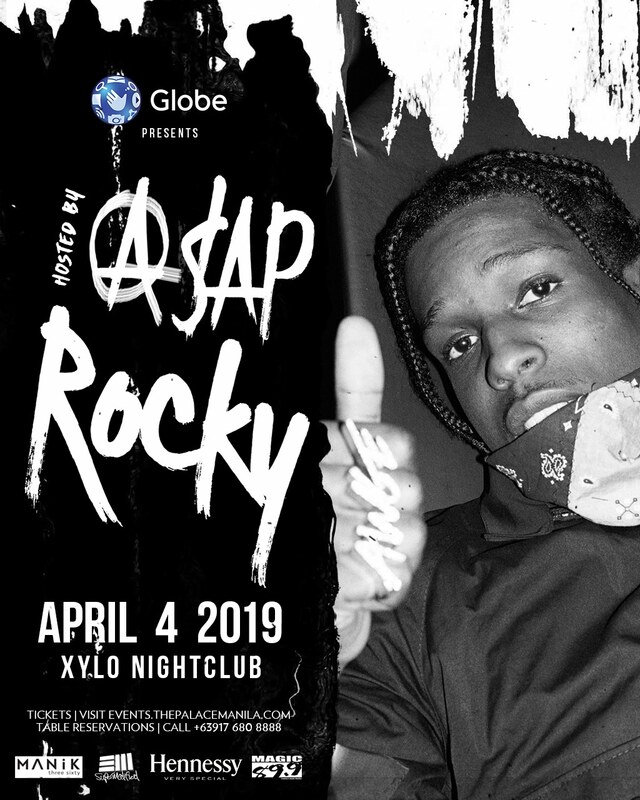 Catch American rapper and producer A$AP ROCKY for his first time in the Philippines this April 4 at XYLO Manila! Let's sing and dance to A$AP Forever, Palace, F**kin Problems and to more amazing anthems as Lord Flacko rules the night away!